Congratulations are in order for romance writer and fellow blogger Bethanne Strasser! 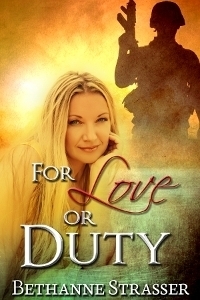 After much hard work, she has a book coming out on June 8, 2012, which is entitled For Love or Duty. My understanding of the story is that it concerns the interaction between an Army officer, Kevin Morgan, and a woman named Valerie Standish. Neither is quite intent upon having a serious relationship, but it may not work out as they had planned. I can't say more than that because I haven't yet read the book. And even if I had, I wouldn't want to spoil the ending. I'm feel certain, however, Morgan is an outstanding young man, as we happen to share the same first name. Seems an obvious choice for a hero, if I do say so myself. Once the book is available, I'll post a link to where it can be purchased, so please check back. 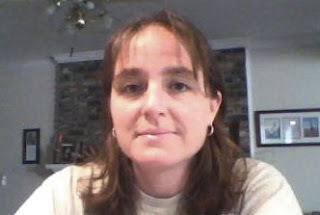 Or you can always find out more by visiting Bethanne's blog or her author profile on Goodreads. At least somebody is getting published! Today, I became a professional writer. Did I get that big payout for the next great American novel? I received two nicely worded rejections on a couple of short poems I had submitted. Now I understand how that feels. And I don't like it. I also now understand what it's like to receive rejections without any explanation as to why. I mean, the poems didn't even rhyme, for God's sake. From what I've been reading, that in itself is enough to be accepted by some people. Sorry, that's a bit of a pet peeve for me, if you'll pardon the expression. They did express their appreciation and asked me to submit again. I will continue to write, of course, and may submit to them in the future, should I write something I believe is appropriate. And I'm holding onto those poems. I might rework one of them and submit it elsewhere.